When I traveled to India for two weeks in 2013, I told myself that Nepal should be my next one. I found it exotic and charming that made me interested about the country. Nepal is known for its incredible mountain ranges, where part of the Himalayas lies. It also has charming hill villages, amazing wildlife and golden temples. It was in August this year when I finally got to travel to Nepal. My original plan was to trek but this kind of adventure needs to have more than a week. I only had limited time so I had to put my plan of trekking on the side. Hence, I decided to just explore other remarkable attractions that this country has. Kathmandu is a perfect starting point. Together with my friend, the trip began with Kathmandu one-day tour visiting some of the ancient temples and heritage sites. The capital city of Nepal, Kathmandu is a vibrant and incredibly busy city full of history. It is home to UNESCO World Heritage sites and some of the country’s most important Hindu temples and Buddhist shrines. 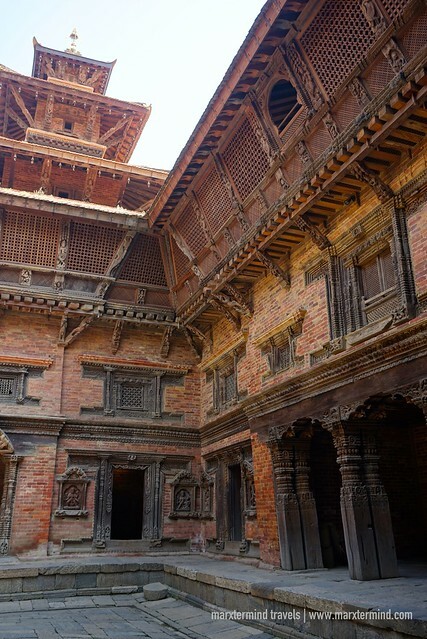 With palaces, courtyards and temples, a visit to Kathmandu is certainly a great experience to begin a Nepal trip. A full day is ideally enough to get around Kathmandu. Through Magical Nepal, a local tour operator, my friend and I were easily able to spend one day sightseeing the city. It was a private tour. Our driver picked us up early morning in our hotel in Thamel District. 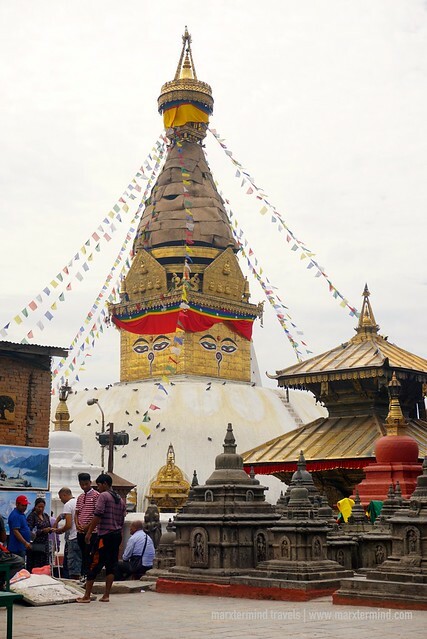 During the Kathmandu one-day tour, we were able to visit the main sights such as Swayambhunath Stupa, Patan Durbar Square, Pashupatinath Temple and Boudhanath Stupa. Here’s how it went. 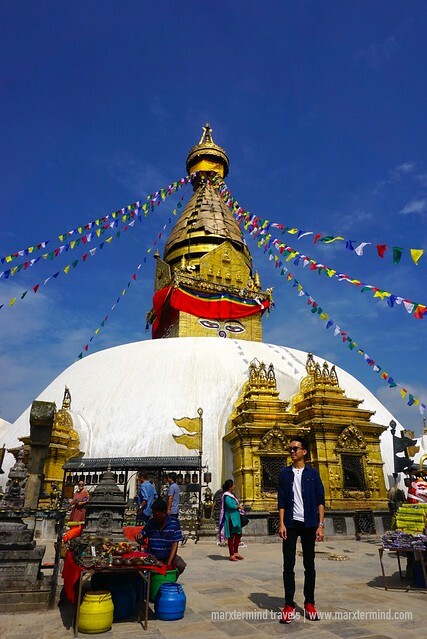 An ancient religious site located on a hill, Swayambhunath is a Buddhist Complex consists of stupa, shrines and temples. It is also known as Monkey Temple due to the presence of monkeys in the area. It is home to hundreds of monkeys that are holy to Tibetan Buddhists and Hindus. But the main draw at the Monkey Temple is the iconic stupa. After climbing a flight of stairs, we found the symbolic monument in the center of the square. The stupa has Buddha’s eyes and eyebrows painted on. In between is number one (in Nepali) painted in the fashion of a nose. At the base of the stupa, we found prayer wheels with the sacred mantra om mani padme hum (‘hail to the jewel in the lotus’). The stupa looks really impressive. The pilgrimage site is a wonderful place to visit that also offers great overlooking of the Kathmandu Valley. There are also shops and restaurants in the area. 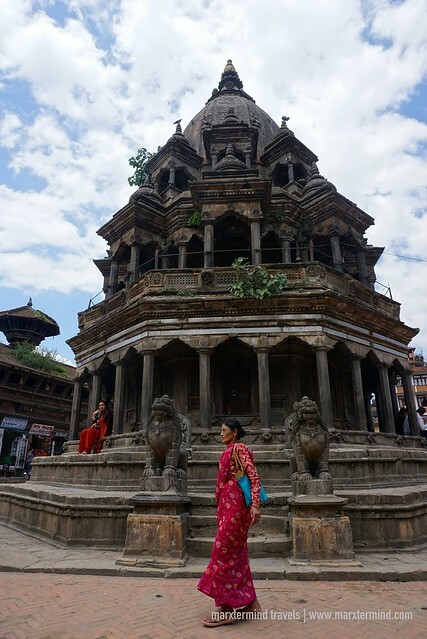 Patan Durbar Square was the second stop in our Kathmandu one-day tour. A UNESCO World Heritage Site, this city square is an artistic heritage with rich cultural history. It is one of the most important landmarks in Kathmandu packed with ancient monuments, temples and shrines. One of the attractions here is the ancient royal palace. This is the center of Patan’s religious and social life. It has a museum that houses bronze statues and cultural and religious artifacts. Inside the palace, there are also three main courtyards where tourists can check out. These are Mul Chowk, Sundari Chowk and Keshav Narayan Chowk. Because of the 2015 earthquake, some of the temples and monuments are still in its reconstruction work. 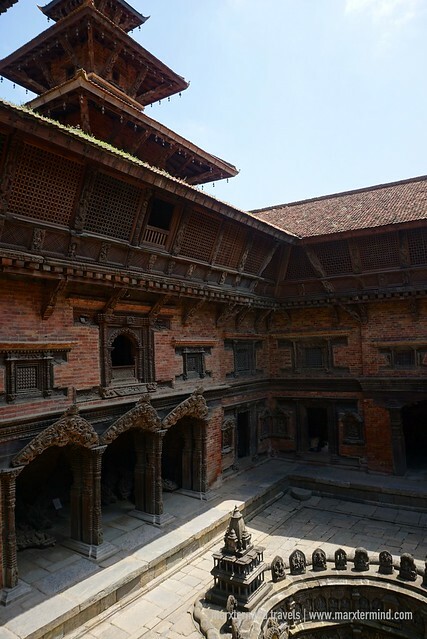 But despite of, Patan Durbar Square is a destination that is still worth visiting. 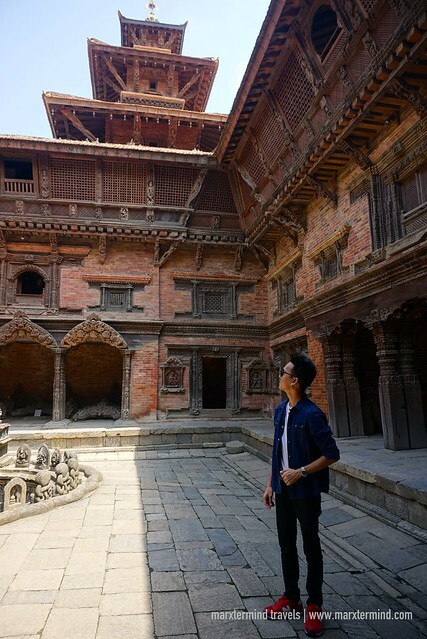 Seeing the most elegant architectural treasures and some spectacular sights of which Patan is very proud, my friend and I were able to enjoy exploring the complex. 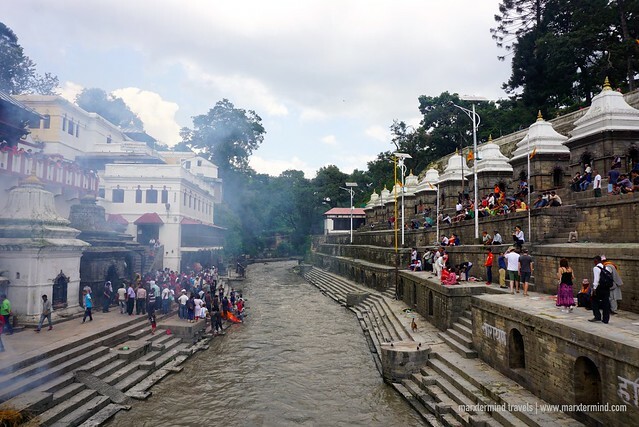 Continuing our Kathmandu one-day tour, we went to Pashupatinath Temple. 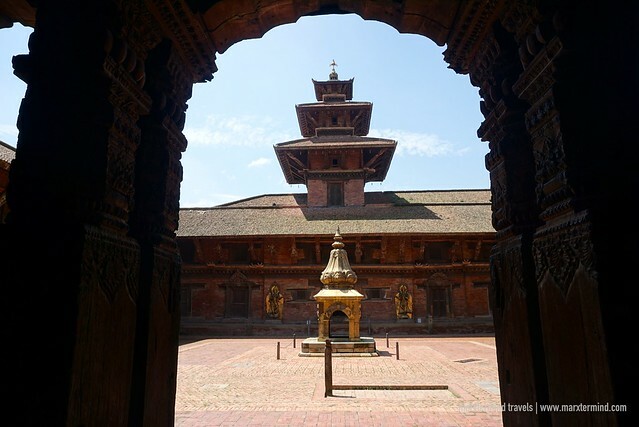 This religious site is one of the holiest and most important Hindu temples in Nepal. It is dedicated to Lord Pashupatinath who is more commonly known as Lord Shiva. The main temple though is not accessible for non-Hindus but there are still plenty to see in the vicinity. 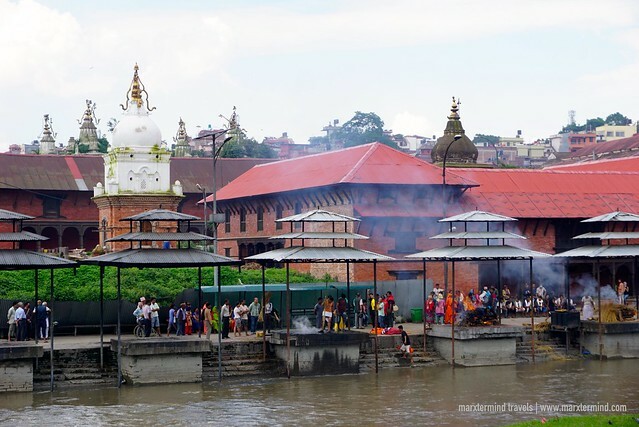 Located on the banks of the Bagmati River, Pashupatinath Temple is also a famous cremation site. During our visit, I got the chance to see a sacred Hindu open cremation. The ceremony was interesting and moving to see. 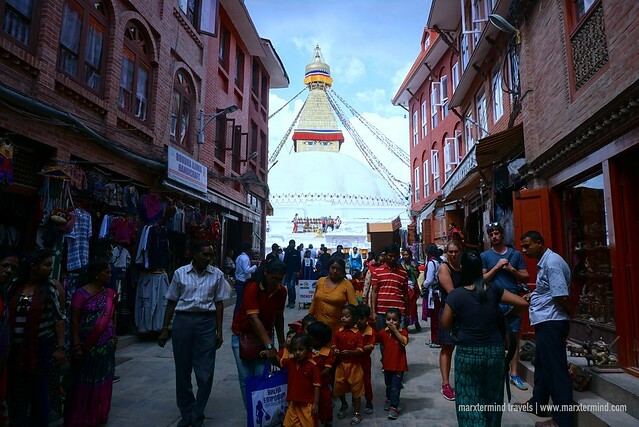 Boudhanath Stupa was the last stop in our Kathmandu one-day tour. 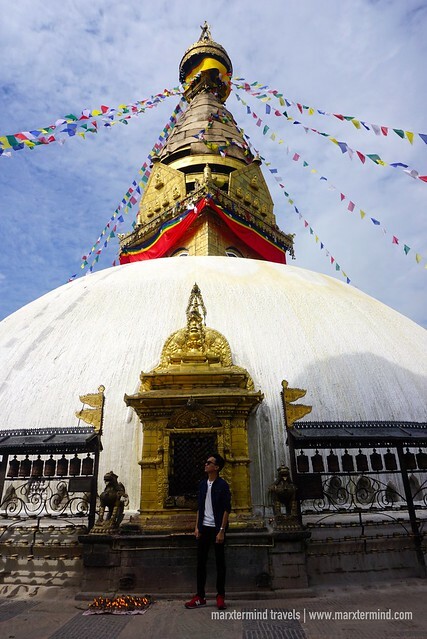 With the height of 36 meters, this is the largest stupa in Nepal. This Buddhist monument is also a UNESCO World Heritage site, making it as one of the most popular tourist sites in Kathmandu. The stupa is also a major destination for pilgrims. You’ll see thousands of pilgrims gather daily to show their respect and faith. 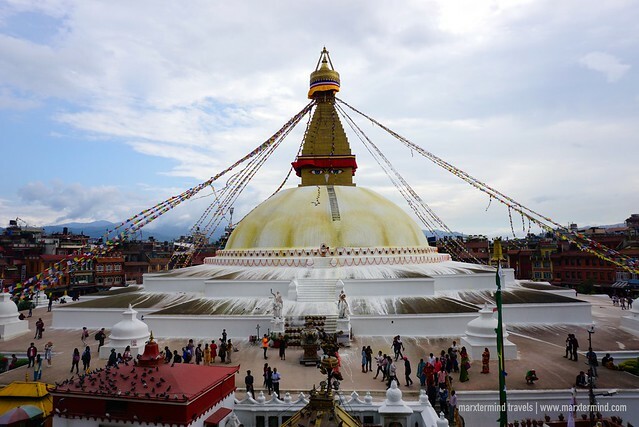 The Boudhanath Stupa itself looks majestic and exquisite. Surrounding it are also nice souvenir shops, local art studios, cafe and restaurants. It’s a wonderful place to walk around. This is where we also had our lunch. For a more enjoyable dining experience, make sure to choose a restaurant that offers a lovely view of the stupa. Since our private tour ended early, my friend and I decided to go to Kathmandu Durbar Square. From our hotel, we walked for about 15 minutes to reach the city square. The majestic square carries significant history that attracts several tourists. It is an important heritage site to visit with over 50 temples, palaces and courtyards that date back to the 12th to 18th centuries. But because of the major earthquake happened in 2015, several buildings in the city square collapsed. 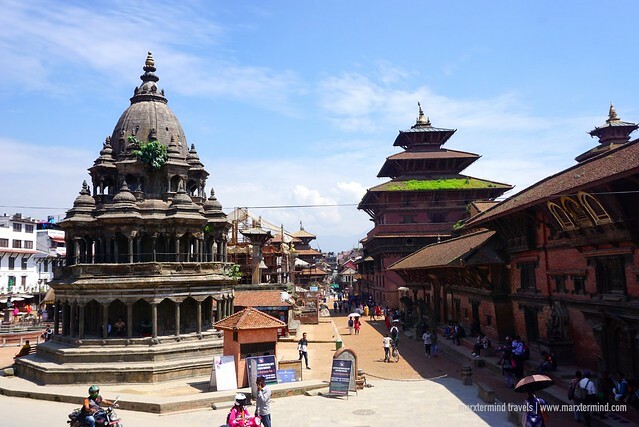 Kathmandu Durbar Square is also listed as a UNESCO World Heritage Site. 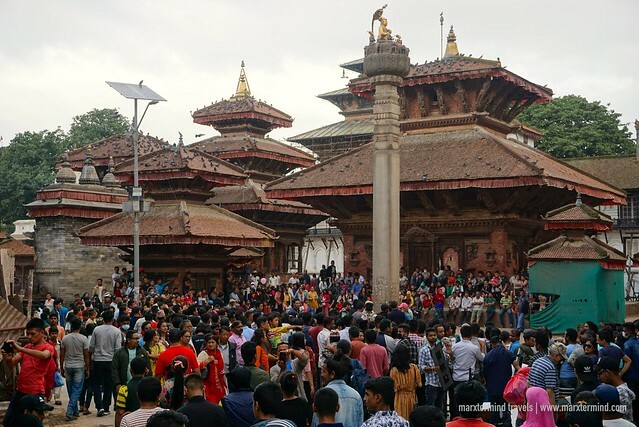 Doing the Kathmandu one-day tour with Magical Nepal let my friend and I able to visit some of the most popular sightseeing places and UNESCO World Heritage sites around Kathmandu Valley. My friend and I had the chance to check out beautiful temples, courtyards and stupas along with ancient palaces in one day. The tour also gave us opportunities to witness the sacred traditions and unique culture of the country. But apart from these things, we had an amazing experience because our nice English-speaking driver/tour guide was very proficient in sharing information to us about the places that we visited and anything relevant about the country. It was a great experience that gave us more understanding of the rich history and cultural heritages of Kathmandu. Magical Nepal is a local tour and trekking operator in Nepal that provides safe and enjoyable trek and tour services at affordable price. The tour company specializes in high altitude trekking like Manaslu Circuit Trek and multi-day and day tours for private groups. Contact the tour agency directly to know more about their tour packages and rates.